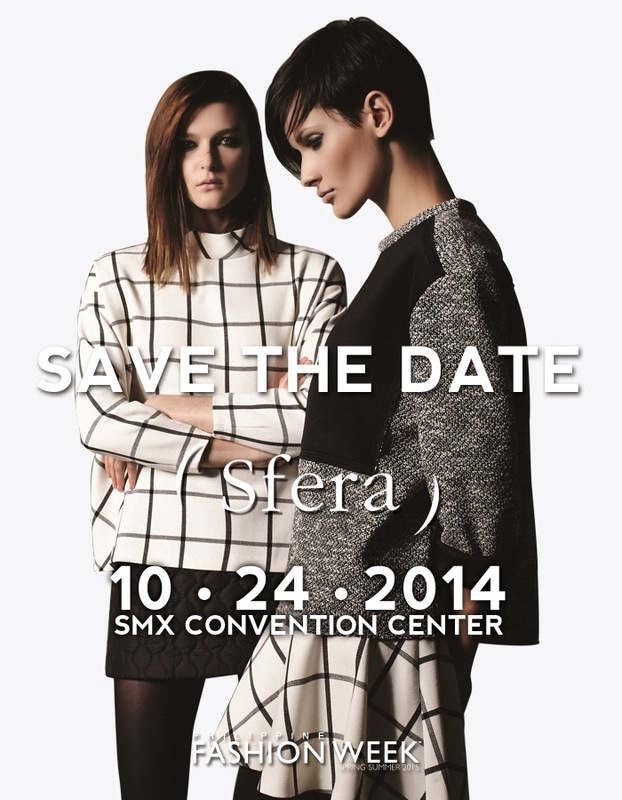 Suiteblanco, Sfera & Uno De 50 Joins Philippine Fashion Week + Tickets Giveaway! Cut for sartorial splendor, Suiteblanco speaks to young, modern women with an uninhibited urban spirit who aspire for the latest styles that are affordable, which gives them more freedom with their spending. No doubt about it, trend setters and shoppers alike will score tickets to the show for some Muy Caliente, fresh-off-the runway looks! (S f e r a) reveals its Fall/Winter Collection with key colour palettes highlighted by print & textiles. 1. Khaki– pay tribute to spring with dense prints showcasing butterflies on trousers, shirts, and dresses. 3. Red – portray your inner strength using a combination of speckled black and touch of red found in tops and dresses. 4. Blue– wear the monochrome look using black and white checkered pieces for tops, trousers, and skirts, accentuated by bright blues. 5. Grey – the star of the collection, featuring a more formal look using knitted fabrics, bulky wools, and tight skirts. The (S f e r a) Women’s collection caters to women who are fashionable, elegant, and style conscious. A refreshing counterpart, the (S f e r a) Casual Collection caters to women who are adventurous, trendy, and looking for one-of-a kind pieces. Seen also on the runway is the (S f e r a) Men’s Line which debut’s its Fall/Winter collection through redefined timeless menswear pieces. Casual looks with streamlined blazers and dapper bottoms, the few but gentlemanly pieces will surely inspire your sartorial undertakings. (S f e r a) opens its doors for its first store in Asia, located at the 2/F of SM Makati. UNOde50 searches inside each person to show that what defines them is not just an accessory, but rather part of them. The autumn-winter collection of UNOde50 is inspired by the sensations experienced by the human being on coming into contact with nature in its purest form. 1.) Winter Forest - . The jewels come in shapes to be found in the forest in the winter season: drops of frozen dew, stalactites or pebble stones, as well as other natural elements such as insects or berries and the seeds that precede the arrival of the first snowfalls. 2.) Northern Lights - The jewels reflect the light and sparkle of this magical occurrence by using Swarovski Elements crystals that are fused with the shine of the silvercoated metal. 3.) Landscape - The designs of organic shapes are reminiscent of vegetation capped with snow and ice. Made entirely of silver-coated metal, the pieces exude a cold and naked appearance, evoking the sense of stillness, silence and peace that the connection with these winter scenes awakens in us. UNO de 50 has 501 of its own shops in Spain and over 25 abroad in some of the world’s top fashion capitals—New York, Miami, Las Vegas, Paris, Milan, Rome, and Amsterdam. Uno de 50 is located at the Second Level of SM Aura Premier. And now, I'm giving away passes to 3 winners!!! 1.) Follow @paxieness on Instagram. "Can't wait to see the latest trends at the @Suiteblancoph, @sferaph & @Unode50_ph PFW show on Friday!" 5. You can comment below for your link or just tag me so I could see your entry.